A decade ago, this was a tough thing to do and often required a new installation of the system and applications to take the machine back to a state before the problem occurred. For Windows, this pattern changed, starting with Windows XP and the ability to “roll back” a driver for the device having trouble. By saving the old driver and its configuration information, you could restore it easily in case there were problems with the new driver. This was great for situations where you knew that new driver was the culprit. If it wasn’t clear who the culprit is, never fear! There was another option: System Restore. System Restore periodically stores a snapshot or “restore point” of the current system, applications, and settings, and allow you undo changes made since that restore point was established. While System Restore is a reasonable name, it doesn’t begin to describe its capabilities to people who have had to use it. Macintosh OS X has a version of this feature with more exciting name (Time Machine) and while there are differences between the two tools, they both let you roll back the system to an earlier time…hopefully a time before your problem started. System Restore made its first appearance in Windows ME before finding itself in Windows XP and future versions. While the idea was laudable, the initial reaction to the utility was mixed, largely because of the amounts of disk space the feature used. Back then, average hard sizes were much smaller. At the release of the Windows XP, 300 gigabytes (GB) drives were just hitting the market and people were more likely to have a drive in the 40-80 GB range. Since System Restore could take over 10% of that drive, people were often advised to lower the maximum space it could use or turn off the feature all together. Windows XP Restore point is created every 24 hours of operation..
Windows Vista A restore point is created every 24 hour period if no other restore points were created that day. Windows 7 Restore points every 7 days unless other restore points are created during that period. With a 24 hour interval, people weren’t terribly happy with how System Restore worked in Windows XP. Also, since the time period not a 24 hour time period but 24 hours of system operation, the interval timer would pause and resume as people shut down or suspended their computers. This made the actual timing of the next restore point difficult to predict. While the user interface does not provide a way to change this interval setting, you can adjust it by changing a setting directly in the System Registry, something I usually only recommend for knowledgeable people used to working in the Registry (if you are…see Resources for how). Joli Ballew wrote a great article on using System Restore in Windows XP that will help you better use the tool and adjusts many of its settings. · Application installations that work with System Restore. For example, if the application uses the Windows Installer or to add itself to the system, it will set a restore point before any changes are made. · If an item is automatically downloaded through Windows AutoUpdate, restore point is set prior to installation. · When you begin a System Restore operation, a restore point is set just in case you need to return to the current system. This is helpful if System Restore fails or the roll-back results in missing applications or settings you had not anticipated. While knowing some of the mechanics around restore points is helpful, probably the most important thing to understand is what is saved when a restore point is set and what is not saved. System Restore does not change your documents or saved data at all, only the files and settings used to maintain the system and its applications. The positive side of this is that system rollback won’t impact your documents when you restore to an earlier time. The downside is if the application you used to create the documents was installed or modified after the restore point used, you will likely have to reinstall or reconfigure the application to return it to the same state it was before the restore. I recently had to use System Restore on a client’s machine to take the system back a month in time. While this resolved her problem, it also meant that the system needed nearly an hour of security updates to the system, anti-virus software, and other normally automatic updates to other applications. It was as if she had shut the computer down for the month and then had to catch up all at once. The other point to remember is that System Restore is not a substitute for backup. It only stores executable files, the system registry and other files important to system operation. Windows XP uses the file extensions listed in Filelist.xml (found in the windows\system32\restore folder) as its guide for the files to save. For Windows Vista and Windows 7, that file is not used. You can find the listing of extensions on the Microsoft Developer Network website. You should make sure that your documents and other hard-to-replace data are separately backed up and protected. If you have downloaded executable files that you need to keep, even if they are in the My Documents folder, I recommend you rename them prior to a system restore. If the restore point is before the file was downloaded, it will be removed unless you do this. As long as you take these precautions, System Restore can be a valuable tool to take your system back before the problem started…providing that the problem is due to a system change. While uninstalling or correcting the offending application are good first and second steps, System Restore is a solid third step to consider. Thanks to the lovely lady who provided a challenging question about migrating her mail and address book from Comcast webmail to Frontier. Everyone contributed to that the answer, especially since the changeover was happening in 24 hours. While we didn’t have a ready answer for transferring the mail itself, we did encourage her to use the export feature in Comcast to save her address book entries before her access to the service ended. Alas, she didn’t leave her name so we weren’t able to follow up on the next step, importing into Frontier’s email. Answer: Export addresses through Comcast’s export and then use Frontier’s import option to bring them in. While you can get the details below on this, I also have a long-term solution (listed as Alternative #2) to avoid these kind of migration problems. Watching the Net has a nice walk-through of the export process for Comcast’s Webmail. Use “MS Outlook Express CSV” as your format and save it to your desktop with a name that you will remember. On the tool bar, choose “Preferences,” not Address Book. Scroll near the bottom page and locate “Import/Export.” Click on the Export button there. You will get a new dialog opens permitting you to save Opening Contacts.csv. Save it to your desktop. Note: Since I don’t use Comcast, I have not be able to confirm this procedure. If you are a Comcast user and can verify this, please let me know in the comments of this post. Okay, you have used Comcast’s export (or some other provider) to produce a CSV file. CSV (Comma-Separated Variable) files are very simple text files that use commas to separate information for each address book entry. This files can been loaded into other programs (like Microsoft Excel) to view or modify. Browse to the Frontier Mail page and login to the account to which you wish to add your Outlook Express Address Book. Click Preferences, and then select the Import/Export option on the left-hand side of the window. Click the Browse button in the Import section of the page. Locate the CSV file that you saved to your desktop earlier, and click the file to select it. Click Open. You should see a message indicating that your contacts have been successfully imported. Click your Address Book to view the new entries. 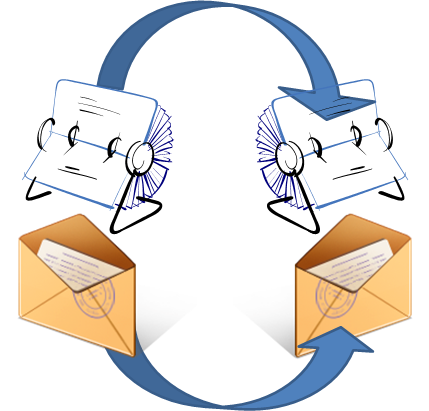 Alterative #1: Using an Email Client to Migrate your Address Book and Email. Another way to do get both the address book and your email is to use a local email client and set up Comcast to pull your email into the email program using the POP3 protocol. That will give the email client access to both your address book and previous email. Here’s the procedure from eHow using Outlook Express that comes with Windows XP. The process is similar for Windows Mail (in Windows Vista) and Windows Live Mail (available as a download). Once Comcast is added, you also add Frontier to the email client (see Frontier’s FAQ for how to do this) and just transfer items over using the email client. As you have seen, moving from one email address to another can be a complicated process especially if you store emails and your address book online. I find that people who depend on the email addresses issued through their Internet provider face this challenge every time they switch to a new provider. While moving emails and address books behind the scenes are usually provided when providers change things themselves, you are largely on your own if you make the switch. One way to break this cycle of dependency is to use one of the free email services. If you have a Yahoo Mail, Google Gmail or Windows Live Hotmail account, if doesn’t matter which Internet service provider is involved or whether you change from one provider to another. Through it all your email remains untouched. ToMuse listed these and some lesser-known web email services in their listing of Top Ten Email Providers. Intriguing as it was, this was only one question from February’s Computer Q&A at the Commons. There were other questions from the event…I will share them in subsequent postings. Our next Commons Q&A session is March 27th. Please join us if you can! More details can be found at bostonlegacyworks.com. The Signs: Secured web sites that use “https:” as part of their address appear to get some sort of certificate error, an issue with invalid certificate or a failure of the secure connection. Usually this will happen on multiple sites you access. The Reason: It’s likely that your system date does not match the current date. The Story: The solution sounds pretty weird and disconnected, doesn’t it? How could all these website errors actually be just because the date of the machine is wrong? It’s also be embarrassing for those of us to who are tech-wise and likely to dig deep into the system. 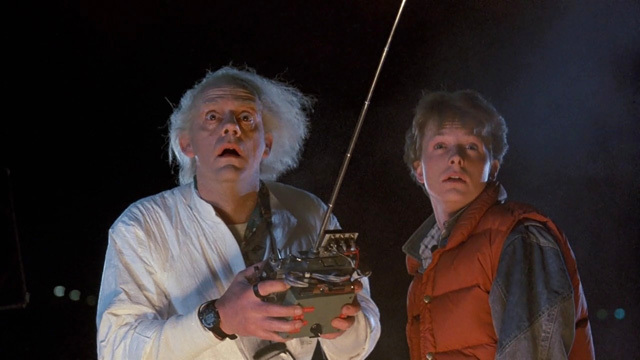 There we are, looking for data corruption or other sophisticated sources of trouble before checking the computer’s notion of the today’s date. So, what is the connection between the system date and these problems? It’s the classic case of your computer responding to specific symptoms without understanding the central cause. For all of its greatness, the Internet is still a frontier populated by anonymous web sites and users looking to connect. Most of these relationships start with recommendation from friends or friends of friends. You know where your bank branch is and often the people who work there. Web sites, especially ones where you want to share personal information, buy, sell, or move money need a way to prove they are really who they say they are. The lack of personal connection or physical location means there has to be a different way to prove their identity and a security certificate is a way to do that. So, sites register for these certificates like applying for a business license. Instead of registering with local government, they register with companies like Verisign, Thawte, or Entrust. These companies provide what is known as “authentication services” and certify that the web site is registered with them. Their whole reputation is built around being a trusted source, not only with the companies that register sites with them but also with Microsoft, Mozilla, and Google, and others who build the web browsers we use to explore these web sites. Each time you access a web site over a secure “https:” (also known as SSL) connection, that web site shares its security certificate with your web browser. As your web browser also has certificates from the authentication service companies, it can compare information and, if everything checks out, authenticates the web site. Since the web site is trusted by the authentication service and your browser also trusts than same service, you have that “friend of a friend” trust relationship. How your system date fits into the picture. The site’s security certificate has expired! Chrome’s message seems to be the clearest. The body of the Chrome’s error message actually suggests you check the system date! However, this hasn’t stopped people discussing this problem over and over again on the Google forums and elsewhere. For the current versions of Firefox and Internet Explorer, it is easier to understand the confusion. To be fair, there can be other causes for this error on a specific website. Malware, settings corruption, or simply an out-of-date certificate from the web site could be a cause. However, my experience is that when you get these errors on multiple secure web sites, the culprit is is an incorrect system date. What can cause your system date to change? This may be the biggest mystery for many people. While programs and users are capable of changing system dates, Windows has been become more restrictive in how this is done in recent versions. The reports I get around this problem usually occur in Windows XP. XP makes it really easy to double-click on the date on the right side of the Task Bar to look up a calendar. It’s also very easy to click on “OK” and press “Enter” and actually save that date you looked up as your system time…and never notice that a change was made. In Windows Vista and Windows 7, it’s easier to look up the calendar (single-click versus double-click) but you have to go through a few more steps to actually change the date. Another possibility might be the CMOS battery that helps hold the system date while your computer is off. If you don’t turn the computer on much, this battery gets more of a workout and might fail over time, the causing the system to revert to an earlier date. If your computer loses its date frequently, the battery is probably the culprit. These batteries are often removable and replaceable. You can either do this yourself, or have a professional do it for you. How Do I Fix “Invalid Or Expired Security Certificate” Errors?